If your landscape has been looking a bit dull lately, your first thought may be to add new plants or trees. However, hardscaping is another design factor that can take the property’s curb appeal to the next level. According to design team at Landscape Carolina of Lancaster, SC, there are endless possibilities to choose from. Here, they list three ways to improve your landscape with non-natural elements. Take advantage of elements you already have. Spotlight key natural features by constructing hardscaping elements around them. 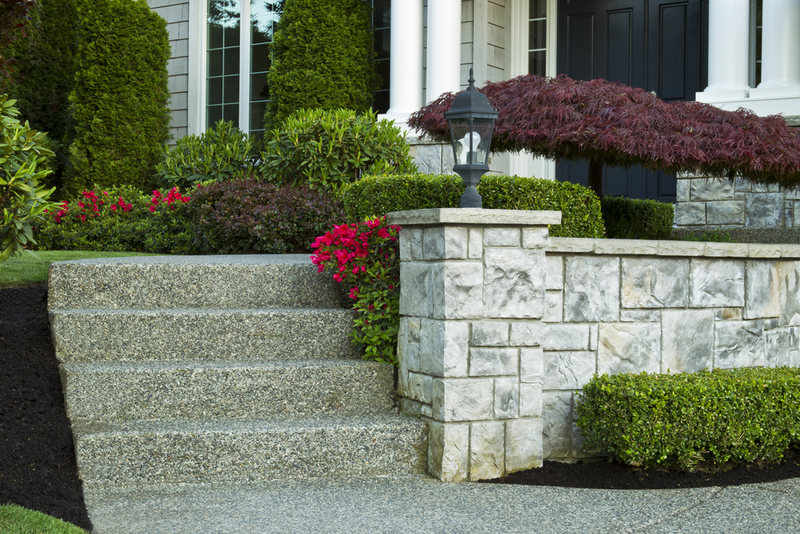 If you have a small garden or a row of flowers in front of the home, build a stone ledge to support the soil and protect the plants from sharp mower blades. In other cases, you may want to construct a natural stone pathway that leads visitors to a bench under a tree. One of the best traits about hardscaping is all your efforts will be out front for passersby to see. Use this opportunity to make the home seem friendly and inviting by building a bench, laying stone steps to a porch, or constructing a gazebo. Neighbors will feel more inclined to stop by and socialize in a welcoming environment. No matter what size or kind of home you live in, you can always elevate its appearance by spending time on the front yard. To foster the illusion of grandeur, add elegant hardscaping elements such as fountains, statues, or pavers. The more you invest in the home’s exterior, the more its curb appeal will increase. If you’re eager to start planning a hardscaping design for the home, consult the experts at Landscape Carolina in Lancaster County. They have a number of ways to make the most of what you have for your property. They also offer landscaping services, so the yard stays lush, healthy, and well-maintained. For more information about their services, call (803) 289-7888 or visit their website.